The food is inspired by American classics - seafood, steaks,chops, salads, sandwiches - a menu that stands apart from fashion and trends. 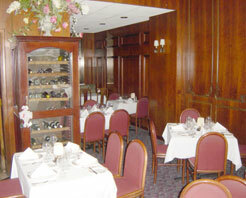 Some of our their popular items are prepared tableside. Rated one of the best tapas restaurants in the city, this charming restaurant is located in an 1864 Victorian mansion with four levels of dark wood, stained glass windows, stark white tables and spiral staircase. It features outstanding authentic tapas selections such as potato omelet, grilled octopus, and cured ham with mushrooms. 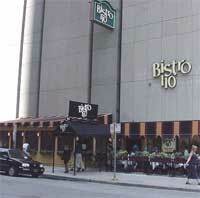 Just steps from the Magnificent Mile, Bistro 110 is a legendary Chicago favorite that lures locals, visitors (and oftentimes celebrities) with its chic style and neighborhood charm. 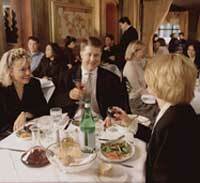 Their fashionable, friendly atmosphere buzzes with the energy and flair of an authentic French bistro. Accented with gleaming copper and contemporary murals by renowned artists, it’s a fantastic place for casual meals or special occasions. 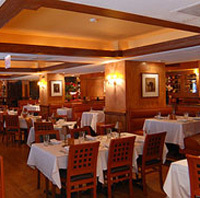 Travel and Leisure magazine rated Rosebud on Rush as "one of the top ten restaurants in America" soon after it opened in 1992. Not much has changed at this renovated brownstone located just west of Michigan Avenue's Magnificent Mile. Rosebud on Rush offers two levels of fine Italian dining in a comfortable atmosphere, and is perfect for business or pleasure. 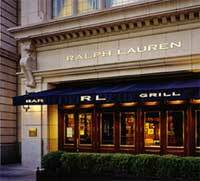 Award winning prime steaks, chops and seafood and a large wine list in this neighborhood steakhouse. the restaurant successfully combines authentic French and Continental cuisine as well as atmosphere to create a dining experience that won't soon be forgotten. 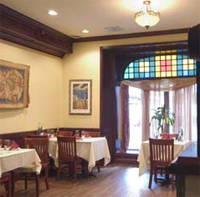 Quiet and elegant, Le Petit Paris is the kind of place that could be your home away from home - smells of spices and homemade cooking fill the air while a friendly and knowledgeable wait staff bends over backwards to cater to your every need.